Having an attractive looking lawn takes some work and attention from the person who resides on the property. There is more than one way to give your lawn what it needs to flourish. I will cover a few things on how to love your lawn for positive results. Have you ever had a dog and made sure it got its coat brushed? Oh, how dogs love getting groomed. It feels good to them once they get used to it. Well, in a sense your yard is no different. 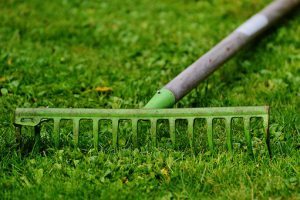 if you keep the pesky weeds out and brush out the things that put a damper on its grassy coat, it to will be happy. The two things you can do to groom your lawn is to dethatch it and aerate it. This will be just like combing out your lawn and letting it breathe. The dethatching will be like combing the naps out in a sense. This is no more than removing all the dead & decomposing organic material that has built up on top of your soil. It does provide nutrients to your lawn but an over build up is not good for it. What it will do is prevent the roots of your grass from getting the proper oxygen and much-needed sunlight thus suffocating your roots. 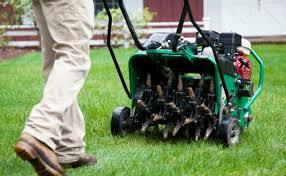 The other thing you can do to groom your lawn is to aerate it. This is much like opening up the scalp so that the hair grows freely. Aerating pulls cores of soil out of your soil which opens up your soil to allow for good oxygen & water flow into your soil that will assist in supplying what your roots need efficiently. If you were to plant on an aerated lawn your roots will be as strong as you can get them which will result in a healthier looking lawn. Just as you love your children and make sure they are fed, you can also treat your lawn the same way to show it, love. Fertilizing your lawn is making sure your lawn is getting the nutrients it needs in order to grow strong and look lively. 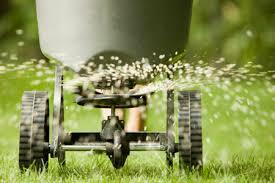 Whether you do it organically or chemically, it helps to at least do some fertilizing giving it some assistance. Fertilizing your lawn will help it get the nitrogen, phosphorus & potassium it needs that the soil may be a little low on. You should know is that loving your lawn is key to it being healthy and your lawn showing beauty. If you don’t have the time to groom it by keeping it cut properly and supplying what it needs, consider letting someone else do it. Either way, it is being loved. Hey, thanks for taking the time to visit and as always there is a comment section below for all the questions or comments you may have. We welcome them all because others do benefit from other remarks. I am having a problem keeping the grass in my front lawn alive. gives off some sort of poison that is killing the grass. time and labor there is also the expense. no grass areas to all the lawn looks bad. bother. I think maybe I’m asking for some (if not a lot) help. Wow, I know you are probably at witts end trying to deal with the problem. But I would suggest trying to seed it with shade-tolerant grass mix. You might also want to water it a little more. The Oak Tree is dominating the water supply to the grass as well. 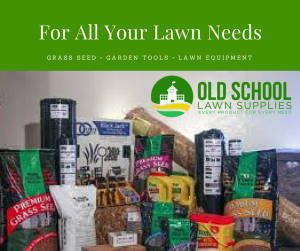 Since you want to keep the tree you have to help the grass situation by using a shade tolerant grass and help nourish the grass with fertilizers as well. I hope that is some help to you.